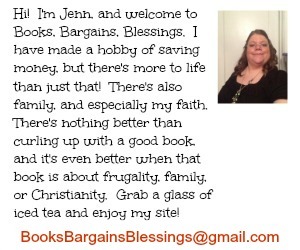 I love entering contests and sweepstakes! Who doesn't love to win a prize? 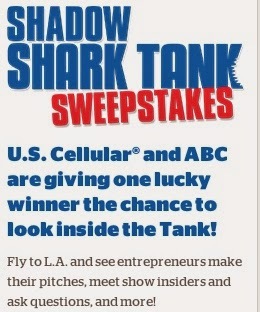 Well, did you know that U.S. Cellular is sponsoring a new sweepstakes in conjunction with ABC's show Shark Tank. Last year U.S. Cellular launched the contest called "Spotlight on America's Backbone" in which they asked for small businesses to enter to win a prize of free advertising and free wireless for a year. This year, U.S. Cellular expanded on the idea and gave consumers access to more tools and support to grow their business. First, there were casting calls that were held giving small businesses a chance to appear on national TV on the show Shark Tank. U.S. Cellular worked with the show to make it possible for some entrepreneurs to be able to give the casting call a try! Now, it's time for the second phase of the sweepstakes (and you'll want to be sure and enter!) This time one person who lives within the U.S. Cellular footprint will be given a trip to to Los Angeles. The winner will receive a VIP seat during the entire pitch process in California, lunch with the casting team, and an opportunity to interact with the "sharks" during the day to ask any business questions if the winner is a small business owner. In addition to schools, U.S. Cellular champions small business owners and wanted to give access to some tools that would make them successful. By operating these casting calls, it was an unprecedented way for U.S. Cellular to provide people in local communities an opportunity to pitch their ideas and hopefully see their business grow. You can enter daily through October 31 if you are in the U.S. Cellular marketing area. Just go to https://www.shadowsharktank.com/ to enter. Also, if you haven't already, please visit this link to download your free parent / child cellphone agreement compliments of U.S. Cellular. FTC disclosure: I am part of the U.S. Cellular blogger brigade and this is a sponsored post. All opinions are my own. Love Shark Tank! One of my favorite shows!